Happy Father’s Day to all the awesome Dads out there! Photo from Isle of Vashon 2012. 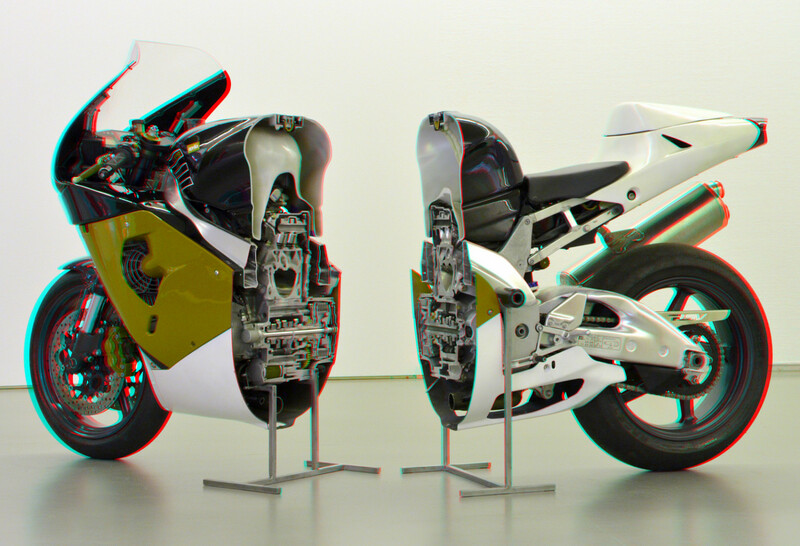 An Aprilia, split in half, on display at the Boijmans Rotterdam Museum in the Netherlands. Megan Fox takes Shia Labeouf for a ride on an Aprilia motorcycle in Transformers. Too bad Megan can’t ride. I do love that women on motorcycles is becoming more popular in movies and mainstream media, though. Yee-haw! 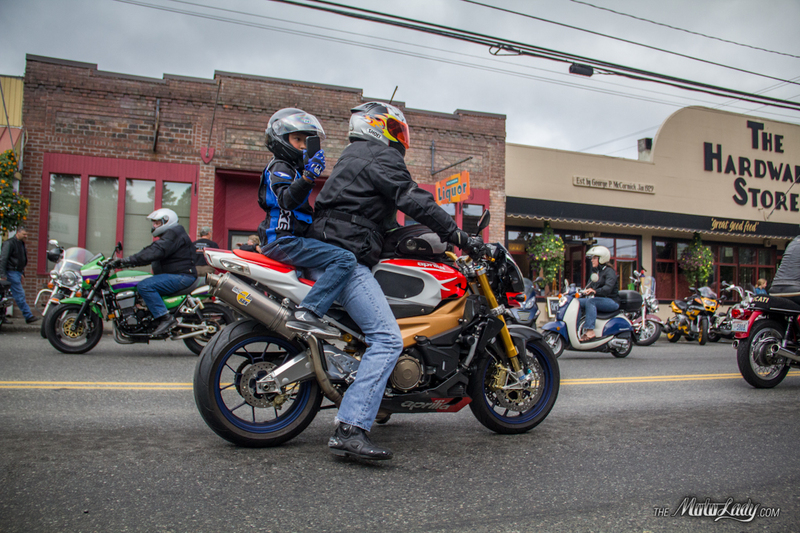 Well your outfit might match your Aprilia RS125, but 1) it doesn’t match your bike and 2) WHY? !